It can be tricky to predict your long-term needs when you’re shopping for your retirement property – especially if you’re doing so in your mid- to late-fifties (as is recommended) when retirement is still a few years away. While certain features might seem desirable when you’re young and well enough to enjoy them, others will eventually become impractical as the years move on. Everyone’s body deteriorates with age, so you’ll want to avoid properties with multiple stories or properties with steps between levels in case your mobility is hindered in any way. For the same reason, you will also want to avoid properties that only have baths and no showers. You will need to be close to a grocery store (preferably within walking distance in case you’re ever unable to drive) and you might also want to be close to relatives or friends in case you need their help. You will also want to find a neighbourhood that offers safety and security for the next twenty or more years. Unless you know what the proposed plans are for the vacant land nearby, it is better to avoid areas that are still developing. The last thing you want is to purchase a property and have an undesirable development crop up across the road. Beyond this, you should purchase a property that is close to a hospital covered by your medical aid. It’s no use being five minute’s away from a hospital that you would never want to be admitted into. 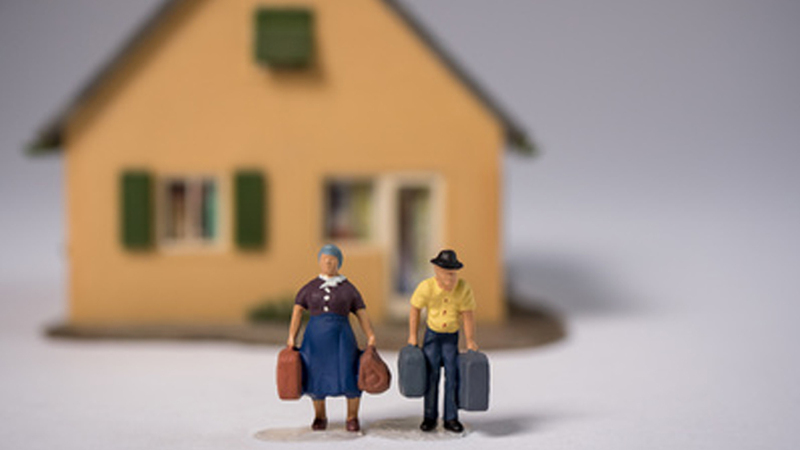 Moving comes with a host of its own costs that you would ideally like to avoid when living on a retirement fund. Not to mention the physical and mental strain that the move can have on a person. In order to avoid these costs should your health take a serious turn for the worse, it is advisable to purchase within a retirement village or lifestyle estate that offers onsite frail care nurses and/or facilities that can be called on should the need arise.